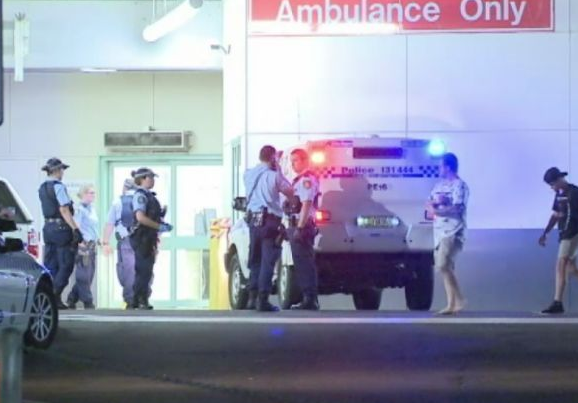 Police in New South Wales conducted a major operation after a 39-year-old man armed with knives and holding a note indicating there was a bomb in his car entered the Nepean Hospital in Penrith. It is currently understood that the man drove his car into the ambulance bay, left the doors of his vehicle open and walked into the entrance of a building where he made threats to the personnel present while brandishing several knives. He then rushed towards the police officers who tried to disarm him and was subsequently shot in the stomach. The man left a note that contained a specific threat about an explosive device in his grey vehicle. The bomb squad and riot officers were then called to the scene as it was unclear whether he had any accomplices. The bomb squad is going through his vehicle now. It always makes me suspicious when they don’t identify the perp.